Click here to visit the “On The House” tab and like them. Then click “Play For Your Perk,” allow their app (you can delete it right after), and play their instant win game. 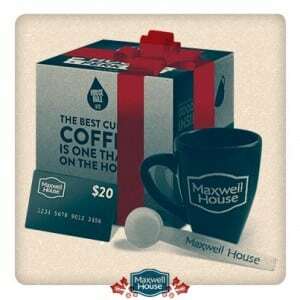 79 winners will instantly score a free Maxwell gift pack. Each pack comes with one (1) coffee mug, one (1) coffee scoop, and a $20 Visa gift card. Good luck!